As I noted in this past weekend’s newsletter, I am on a much-needed family vacation this week. However, I would be remiss if I did not relay some of my thoughts in reference to the Monday’s market action as it relates to our current portfolio positioning. The one thing that keeps us a bit more bullishly biased at the moment is the flood of earnings coming in as we progress into the Q2 reporting season. Google reported better than expected numbers (of course, that’s not saying much since estimates are always lowered so companies can beat them) which will give a lift to market today at least at the outset of the session. However, as shown below, the bulls have cleared resistance momentarily. 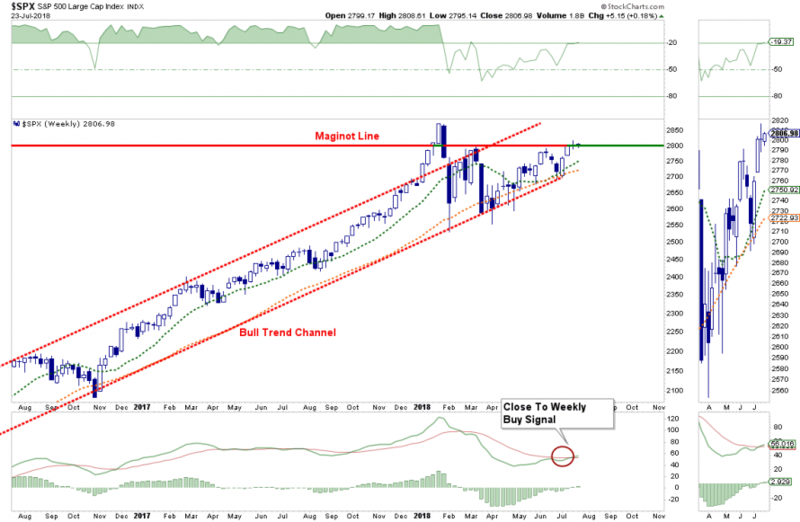 It is important the bulls are able to maintain control above 2800 through the end of the week. A failure of that level will likely result in a correction back to 2700. If these current levels hold through the end of the week, the intermediate-term “buy signal” will also be triggered. (While it may seem to already have been triggered, this is a weekly signal so it requires a full week’s of data to confirm.) This signal will be supportive of current equity allocation levels and will suggest that a move higher in the short-term is likely. The risk, in the short-term, remains the White House and geopolitical policy which could disrupt the markets. Longer-term it remains a story about valuations, economic cycles, and interest rates. This morning I was sitting on the beach with my lovely wife having a cup of coffee when a prayer group formed on the beach. They sat in a circle as the sun crested the horizon. As streams of sunlight glinted off of the crystal blue waters, they read scripture and prayed. As my wife and I watched, and listened, a very peaceful feeling fell across us both. As they finished, I looked down at my laptop with a blank page staring back at me. At that moment, I begin thinking about the risks which currently face us as investors and the sins we repeatedly commit as individuals which keep us from being successful over time. 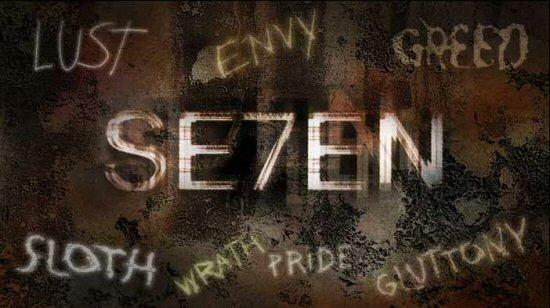 If you were raised in a religious household, or were sent to a Catholic school, you have heard of the seven deadly sins. These transgressions — wrath, greed, sloth, pride, lust, envy, and gluttony — are human tendencies that, if not overcome, can lead to other sins and a path straight to the netherworld. Individuals tend to believe that investments they make, or their advisor, should “always” work out. They don’t. And they won’t. Getting angry about a losing “bet” only delays taking the appropriate actions to correct it. Greed – greed causes investors to lose more money investing than at the point of a gun. Individuals regularly fall prey to the notion that if they “sell” a position to realize a “profit” that they may be “missing out” on further gains. This mentality has a long and depressing history of turning unrealized gains into realized losses as the investment eventually plummets back to earth. It is important to remember that the primary tenant of investing is to “buy low” and “sell high.” While this seems completely logical, it is emotionally impossible to achieve. It is “greed” that keeps us from selling high, and “fear”that keeps us from buying low. In the end, we are only left with poor results. Sloth – don’t be lazy; if you don’t pay attention to your money – why should anyone else? It is quite amazing that for something that is as important to our lives as our “money” is, how little attention we actually pay to it. Not paying attention to your investments, even if you have an advisor, will lead to poor long-term results. Portfolios, like a garden, must be tended to on a regular basis, “prune” by rebalancing the allocation, “weed” by selling losing positions, and “harvest” by taking profits from winners. If you do not regularly tend to a portfolio, the bounty produced will “rot on the vine” and eventually the weeds will eventually reclaim the garden as if it never existed. Pride – when things are going good don’t be prideful – pride leads to the fall. You are NOT smarter than the market, and it will “eat you alive” as soon as you think you are. When it comes to investing, it is important to remember that a “rising tide lifts all boats.” The other half of that story is that the opposite in also true. Lust – lusting after some investment will lead you to overpay for it. It is very hard to “buy stuff when no one else wants it” but that is how investing is supposed to work. Importantly, if you are going to “lust,” lust after your spouse – it is guaranteed to pay much bigger dividends. Being envious of someone else’s investment portfolio, or their returns, will only lead to poor decision-making over time. It is also important to remember that when individuals talk about their investments, they rarely tell you about their losers. “I made a killing with XYZ. You should have bought some” is how the line goes. However, what is often left out is that they lost more than what they gained elsewhere. Advice is often worth exactly what you pay for it, and sometimes not even that. Do what works for you and be happy with where you are. Everything else is secondary and only leads to making emotional decisions built around greed and lust which have disastrous long-term implications. Gluttony – never, ever over-indulge. Putting too much into one investment is a recipe for disaster. There are a few great investors in this world who can make large concentrated bets and live to tell about it. It is also important to know that they can “afford” to be wrong – you can’t. Just like the glutton gorging on a delicious meal – it feels good until it doesn’t, and the damage is often irreversible. History is replete with tales of individuals who had all their money invested in company stock, companies like Enron, Worldcom, Global Crossing; etc. all had huge, fabulous runs and disastrous endings. Concentrated bets are a great way to make a lot of money in the markets as long as you are “right.” The problem with making concentrated bets is the ability to repeat success. More often than not individuals who try simply wind up broke. No, you’re not. Yes, they do. Individuals are long-term investors only as long as the markets are rising. 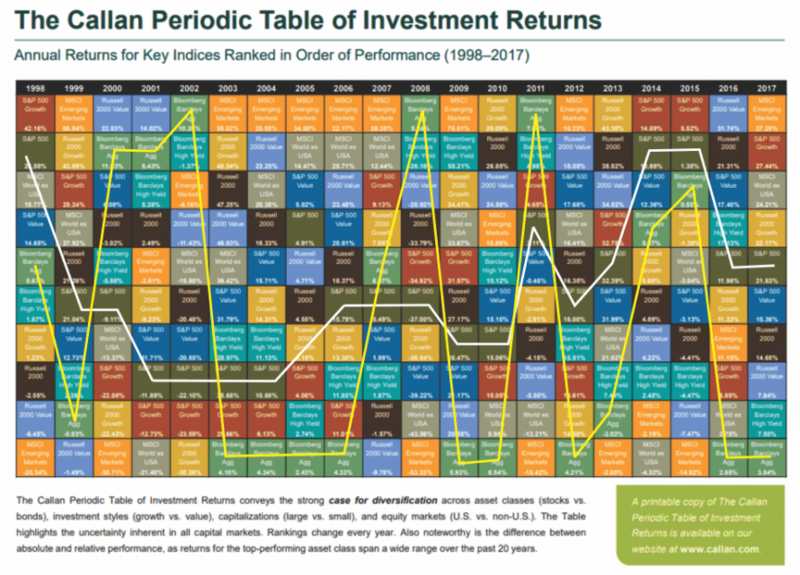 Despite endless warnings, repeated suggestions, and outright recommendations – getting investors to sell, take profits and manage portfolio risks go unheeded. The hardest thing for individuals to overcome in investing is their own emotional biases. This is why laying out a strict written discipline, having a sound investment strategy and keeping a journal of your trading are key elements in winning the long-game. Investing, like religion, requires a belief system that you follow even when it doesn’t seem to work. But that is incredibly difficult to do.